Super Savings Item! Free Shipping Included! 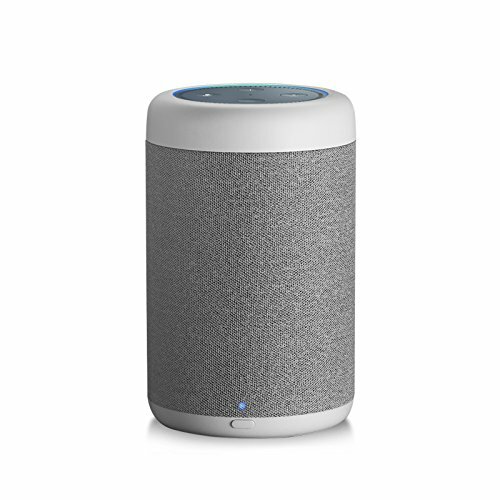 Save 38% on the GGMM D6 Portable Speaker for Amazon Echo Dot 2nd Generation, 20W Powerful True 360 Alexa Speakers (DOT SOLD SEPARATELY) by GGMM at movies-out.com. MPN: D6-WHITE. Hurry! Limited time offer. Offer valid only while supplies last. True 360-degree portable speaker for Echo Dot 2nd generation, free your echo dot, enjoy Alexa on the go. Enjoy up to 8 hours of play time in Dot mode, 37 hours in Aux mode from a rechargeable, lithium battery. Professional audio experience, 20 watts supper power, 3-inch (80mm) low & medium frequency driver & 1.2-inch (30mm) dome tweeter with dual passive radiator boost deep, loud and immersive surrounding sound. One integrated mass of Dot，built with attention to details and craftsmanship, match the most stylish of home environments. 3-steps installation, easy to set up, build in 2-in-1 spring audio cable, great way to hook up and hold properly your Dot.